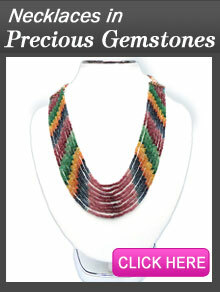 We are manufacturer of Precious & Semi-Precious Gemstones and Gemstones Beads Necklaces. We make rings, earrings, pendants and necklaces as per our customer’s designs in 14-18 Carat Gold. We have lots of designs and client can select from any one from them. Customer can also send her/his design photo, we can make same jewelry. Custom design jewelry costing will come very low compare to readymade jewelry of any brands. We provide free quotation. 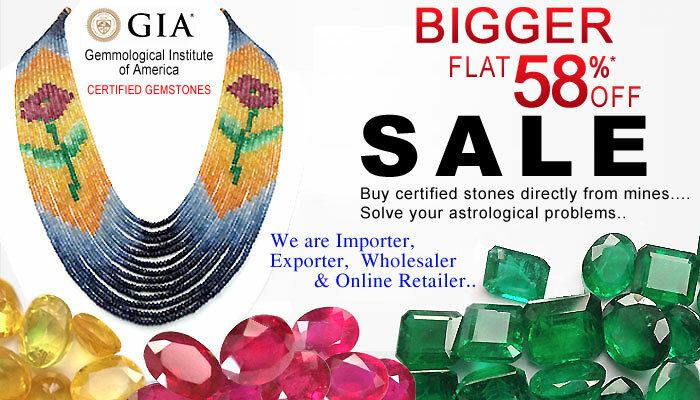 We sell 100% real and certified gemstones only. Jewelleryshopindia.com - here, we provide 100 percent natural precious & semi precious gemstone and gemstone jewelry in very cheap rates. We help our customers to save up to more than 300% as compared to market prices. We provide government approved international gem testing laboratory certificate for your every purchase. Our products range are Precious Stone Emeralds (panna), Natural Ruby (Manik), Natural Blue Sapphire (neelam), yellow sapphire (pukhraj), pearl (moti), coral (moonga), aquamarine (beruj), citrine (sunela, golden topaz), blue topaz, turquoise (firoza), amethyst, tourmaline, garnet, , smokey quartz, catseye, opal, peridot, lemon quartz and many other precious and semi precious stones.